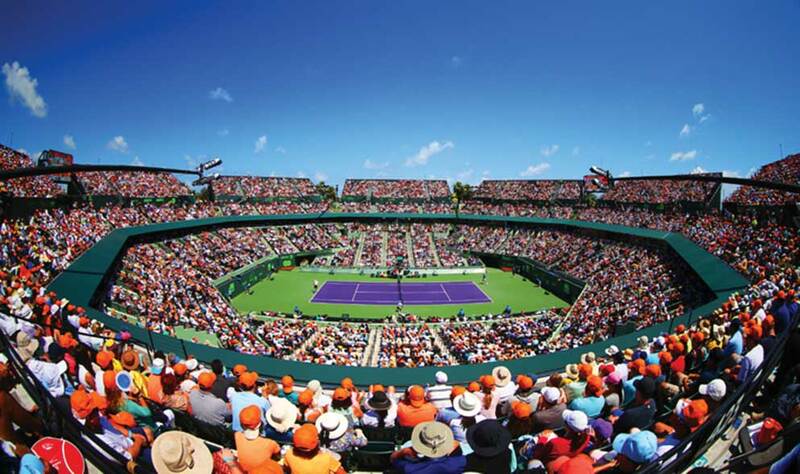 Organizers for the Miami Open, who are fighting to build three additional stadiums at the tennis center in Key Biscayne’s Crandon Park, may get their day in court. On Monday, the Third District Court of Appeals scheduled oral arguments Dec. 14 for International Players Championship versus Miami-Dade County, Bruce Matheson, Matheson family members and the National Park Conservation Association. Miami Open tournament organizer International Players Championship (IPC) filed an appeal in February, seeking to reverse Judge Marc Schumacher’s September ruling in favor of the Matheson family keeping the park as it is now. The family donated the land for Crandon Park in the 1940. However, the court reserves the right to cancel oral arguments at any time. According to Enrique D. Arana of Carlton Fields Jorden Burt, one of the attorneys representing the Matheson family, the Third District Court of Appeals does not grant oral argument in every case. There will still be a decision based on briefs both sides filed and the record in trial court, but the judge may not deem it necessary to hear two sides present their arguments if there’s no dispute of fact. The tennis tournament has been held at the Crandon Park location since 1987. In recent years, however, IPC began litigation over what it believes are unlawful restrictions for keeping up the facilities. Tournament director Adam Barrett wrote to Mayor Carlos Gimenez in May, saying county government’s failure to pay attention to detail could very well mean the end of the Miami Open at its current location. Last month, Mr. Barrett told Miami Today he would have thought the mayor would want the park controlled by elected officials to do what’s in the best interest of the public. Ironically, Mr. Matheson said, IPC’s proposed expansion would adversely affect the public. In order to build the proposed 6,000-, 4,000- and 3,000-permanent-seat structures, IPC would have to remove six tennis courts from the site that the public now uses.